Manufacturer of a wide range of products which include aluminium colanders, regular mixing bowls, deluxe colanders and whipping bowls. We are a known name as the manufacturers and suppliers of Colanders Aluminium. This one is a bowl-shaped kitchen utensil with holes in it used for draining food such as pasta or rice. This one from our side is also used to rinse vegetables. 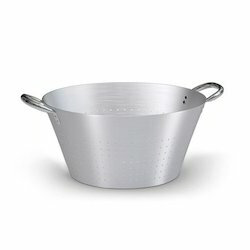 The perforated nature of the colander allows liquid to drain through while retaining the solids inside. This one is offered in a number of different sizes, dimensions, and capacities. Having best technology and skilled professionals, we are involved offering a wide array of Deluxe Colanders. The offered Deluxe Colanders are available in the market in bulk at reasonable rate. 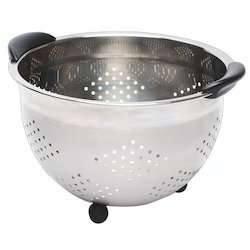 These Deluxe Colanders are appreciated for their hassle free performance and longer life. We are master in presenting a wide assortment of Whipping Bowls. The offered Whipping Bowls are acknowledged for their quality. These bowls are available in various sizes. 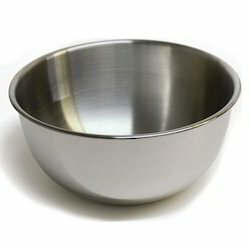 Customers can avail these Whipping Bowls form us in wide range at market leading rates.